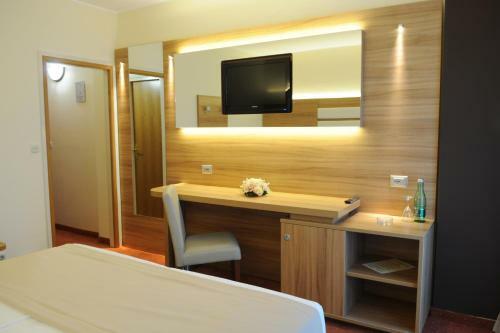 Panorama Hotel is one of the most eye-catching tourist amenities of the Sibenik Riviera, positioned on a cliff above the Krka canyon, providing magnificent breathtaking views. Visitors can use the outdoor pool for free. It presents a bar,dining establishment and a fitness centre. 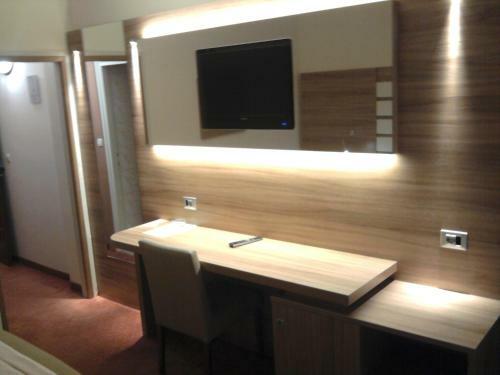 It has been entirely refurbished and meets the highest standards of the hospitality and catering industry. 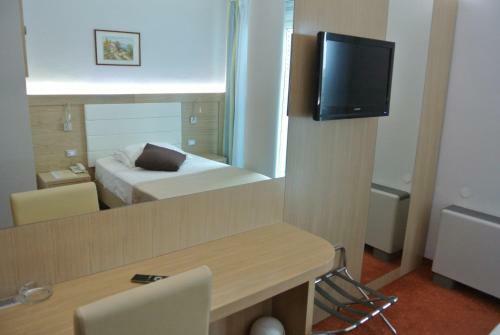 Hotel Panorama is situated near the bridge of Šibenik, on the highway between Vodice and Sibenik. Enjoy the splendid views of the city of Šibenik and the Krka's sunken delta - the harbour of Šibenik and the islands of the archipelago. In the charming and relaxing atmosphere of the restaurant, seating up to 200 guests, a high quality selection of fish and meat specialities, as well as a broad choice of selected wines and other drinks is served. The aperitif bar within the restaurant area is open to hotel guests and all those who want to enjoy the magnificent atmosphere of the Panorama Hotel. The Panorama Hotel is a perfect place for the celebration of your wedding. We will assist you with our expert advice concerning the organisation of this feast, which will surely be a breathtaking one. 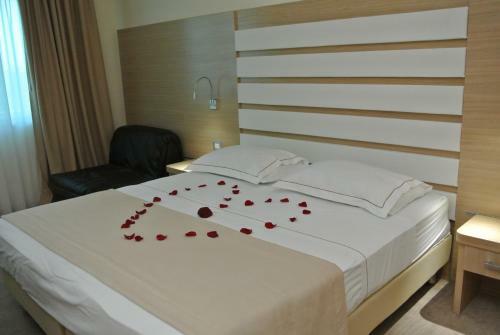 Rooms Vila Mautner ~4,5 km, Vodice price per day from € 36 Rooms Vila Mautner. Apartments & Rooms Krecak Sibenik ~4 km, Sibenik price per day from € 34 Situated on the coastline and within a 5-minute walk from the city`s historic core, Apartments & Rooms Šibenik presents free internet access, sea views and free car parking on site. 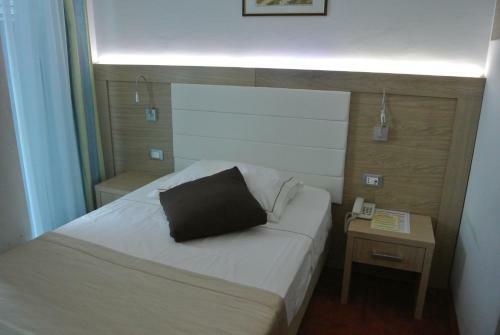 The twin rooms are easily furnished, and feature a balcony and private toilet. Kitchen amenities are shared. Landmarks for instance the Basilica of St. James and the Sibenik Theatre are within a 10-minute walk. Krka National Park is 12 kilometers away, private parking is free. Visitors staying for a minimum of 7 evenings advantage from a complimentary dinner at the end of their stay. Srima ( ~ 3.6 km ): 155+ accommodation units. Jadrija ( ~ 4 km ): 17+ apartments. Prvic Sepurine ( ~ 4.9 km ): 10+ apartments. Raslina ( ~ 5 km ): 17+ accommodation units. Vodice ( ~ 5.1 km ): 647+ apartments. Prvic Luka ( ~ 6.2 km ): 6+ apartments,. Beach Srima ~ 4 km from Hotel Panorama Gravel beach: ideal for families, recommended for young people, awarded with blue flag, with restaurant, with caffe bar, equipped with showers. Excellent choice of watersports. 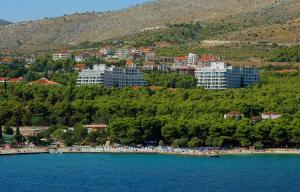 Beach Jadrija ~ 4 km from Hotel Panorama Rocky beach: ideal for families, with restaurant, with caffe bar, equipped with showers. Excellent choice of watersports. Beach Hangar, Vodice ~ 5 km from Hotel Panorama Gravel beach: ideal for families, recommended for young people, with restaurant, with caffe bar, equipped with showers. Excellent choice of watersports. Beach Plava Plaza, Vodice ~ 6,6 km from Hotel Panorama Sandy beach: ideal for families, recommended for young people, awarded with blue flag, with restaurant, with caffe bar, equipped with showers. Excellent choice of watersports. Beach Bristak ~ 7,7 km from Hotel Panorama Gravel beach: ideal for families, recommended for young people, with restaurant, with caffe bar, equipped with showers. Excellent choice of watersports.